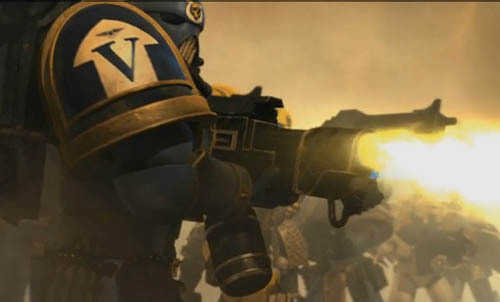 A new trailer for the animated movie based on the Warhammer 40k system from Games Workshop. It has the voices of such greats as Terence Stamp and John Hurt, which can’t be cheap. This film is planned as a no-cinema direct to DVD affair, which, given that Games Workshop have got hundreds of stores across the world, is probably not going to harm the movie’s chances too much. I’ve finally got the kids interested in Warhammer model-kit building here at Chez Hunt – trying to wean them away from the dark arts of the Nintendo and Playstation. My work here is nearly done. Glad to see the rugrats are learning well from the master! Wax on, wax off.